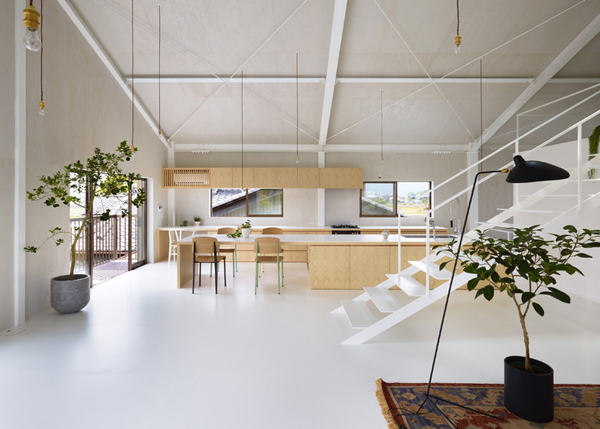 This warehouse conversion is located in Yoro, Japan. 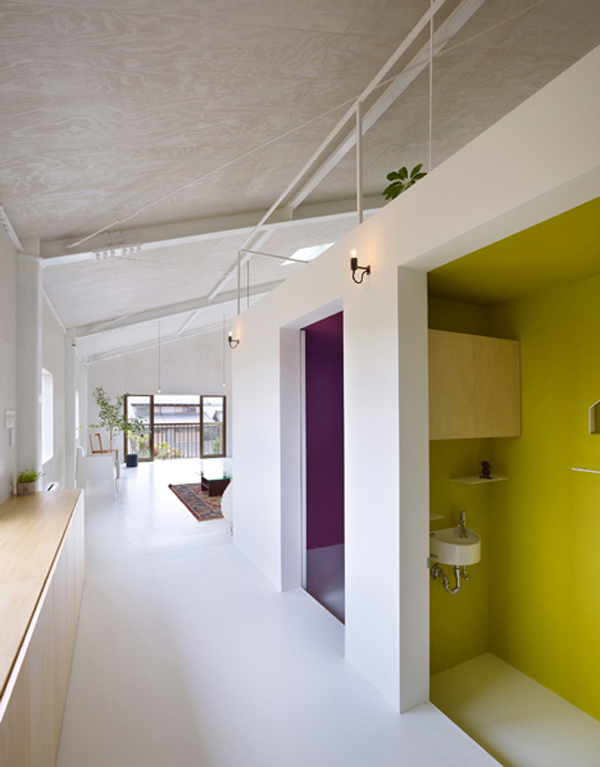 It has an amazing amount of open space and outstanding minimal design with small doses of color. The vaulted ceilings are amazing in this home. We love the detailing and the cream color. 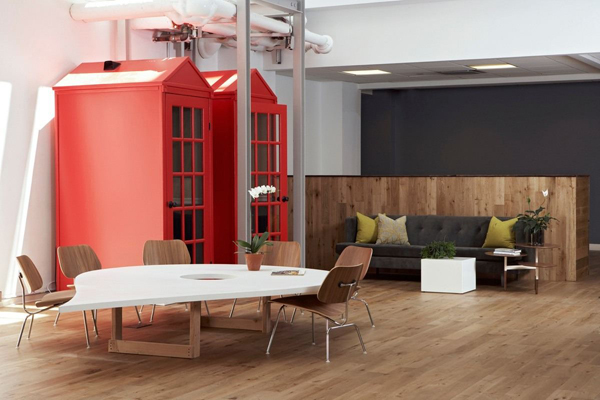 White floors contribute to the openness of the space, and simple lights add a warm glow. 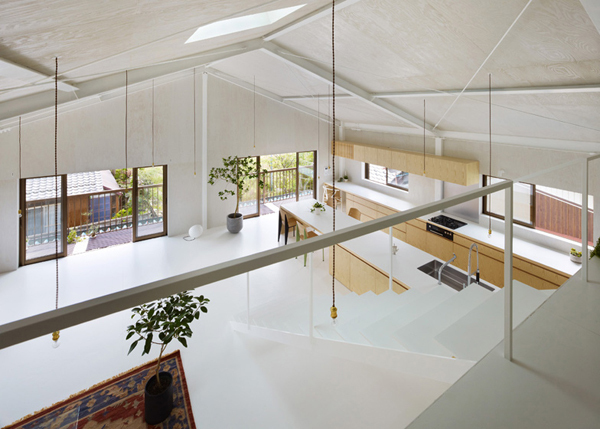 The slenderness of the staircase is positively wonderful, and the kitchen is beautifully sleek. 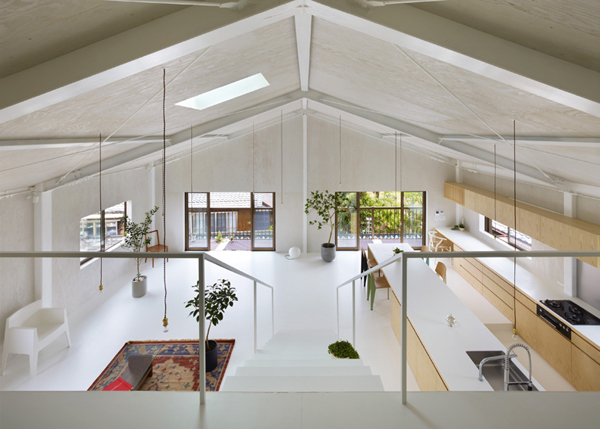 The combination of white and light wood is gorgeous, maintaining the brightness of the design. Some of the chairs have a magnificent green color, adding a bit of playfulness to the room. The living room in this warehouse conversion consists of a lovely area rug, a modern chair, a tall and lively plant, and a wooden table with a glass top. 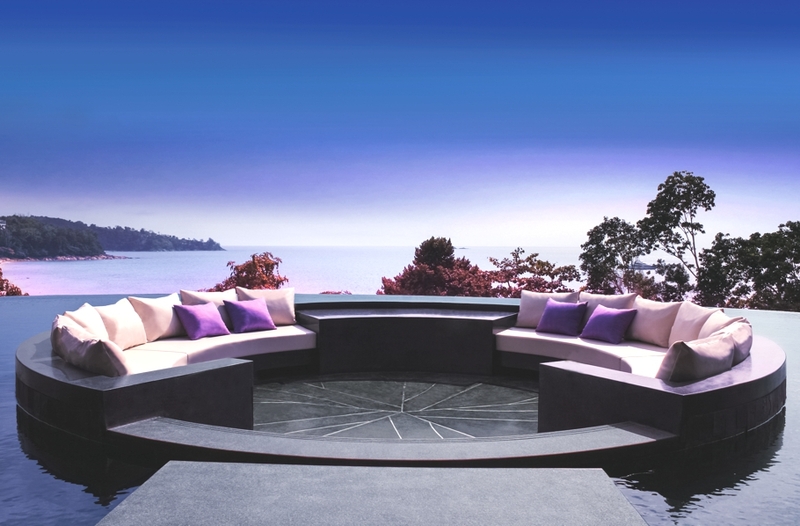 It is a very simple space, but it is absolutely stunning. 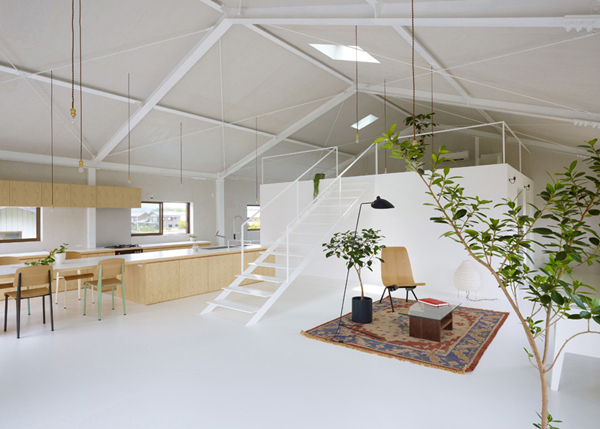 From this view, you can really get a sense of the open feel in this warehouse conversion. Glass doors and nicely sized windows provide natural light and easy outdoor access, and the lighting takes center stage, revealing the unique quality that it adds to the home. 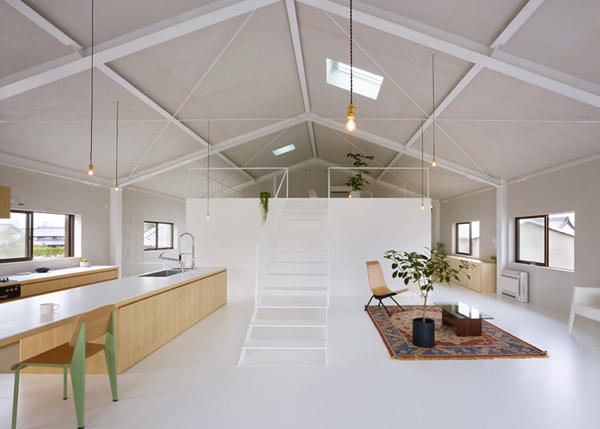 On the second floor, there is another minimal seating space, with a wonderful skylight. Gorgeous greenery continues here, adding a delightful liveliness to the area. We love the black wall and the exposed ceiling. 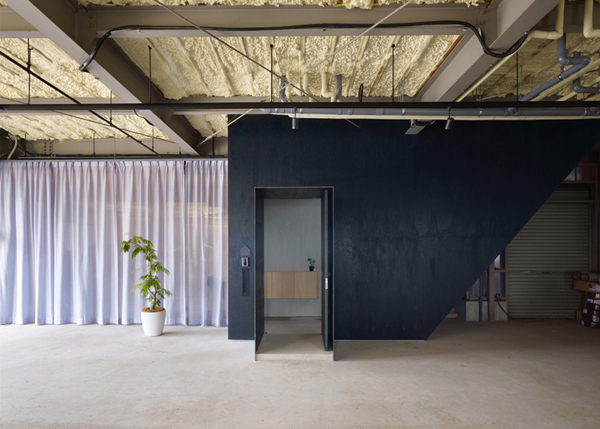 The black contrasts the bright white in the warehouse design, and the exposed ceiling maintains the warehouse’s industrial feel. The boldly colored rooms continue some of the wonderful color seen in the other areas of this fantastic house. They also add a bit of character to the home, putting a marvelously unique stamp on this minimal design. 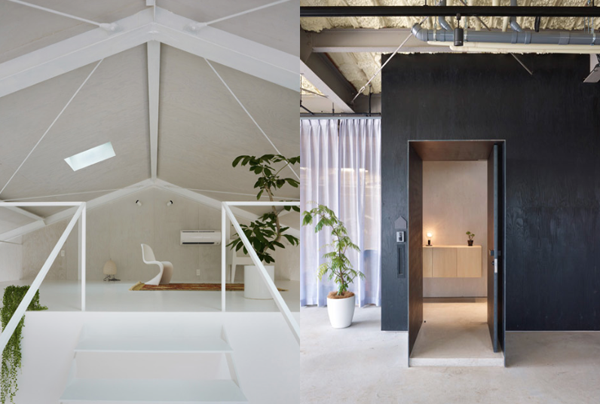 The minimalist approach, the open space, and the wonderful touches of personality, make for a welcoming home in this outstanding warehouse conversion.